Becoming a homeowner is something that many people aspire to. Owning a home offers you more security in your life, and it’s something that you can be proud of. But home buying is one of the largest investments most people will make in their life time, so doing it right is very important. When shopping for a mortgage, you must do a ton of research, which will help you find what you are looking for and possibly save you a significant amount of money. Not all lenders are created equal, which means that, if you just do business with the first one that crossed your path, you won’t have anything to compare him with. Also, more importantly, some lenders can give out loans that better suit your needs, but others will present you with various options that will not work to your advantage. It is imperative to know how to compare mortgage lenders, and is the only way to avoid turning your life into a nightmare. Research several mortgage lenders in the area. You can do the research online, by calling their offices, or by visiting their locations to talk to one of the officers and pick up brochures. Remember that the interest rate is not the only thing you should look for when shopping for a mortgage loan. Some lenders may offer lower than usual interest rates, but that doesn’t mean that you’ll be paying that interest rate for the duration of the loan. Make sure that you are comparing the same type of loans. It’s important to understand that interest rates change daily, so you should compare rates on a specific date. Also, make sure that you are not comparing the interest rates on loans with different terms. Comparing rates on a 30-year to rates on a 15-year loan will not help with your decision, as this is like comparing apples to oranges. Compare each lender’s closing fees and points charged. Remember that each origination point represents 1 percent of the purchase price. Also, you can pay for more mortgage points in order to have your interest rate reduced. Points are not the only expense that you will have when taking out a mortgage loan. There are also closing costs, such as the appraisal fee, the title fee and many others, that you should take into consideration, as they can make your closing costs very high. Find out if there is a prepayment penalty on the loan. If there is a penalty for paying off your mortgage loan too early and you’re unsure of your plans for the next few years, then maybe you should keep looking. The prepayment penalty will make selling or refinancing your home in the near future very difficult and expensive. Find out how much your down payment will have to be. Most lenders require a 20 percent down payment, but how much you will be able to pay will influence the amount of money that you will be paying for the duration of the loan. This means that, depending on the amount that you will be able to come up with as a down payment, you will save money, or spend more. 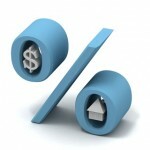 Finding a good mortgage deal is influenced by several factors, and not only the quoted interest rate. Closing costs and other fees can rack up quickly and turn what you thought was the perfect mortgage loan for you into a nightmare. A mortgage loan is something that you will have to pay over the next fifteen or thirty years, so properly researching each lender and what they offer will guarantee that you will find a mortgage loan that suits you and your budget. Two of your obligations as a home owner are to pay the property taxes on your home and to make sure that the insurance is up to date. Failing to be responsible by not paying your taxes and homeowner insurance on time will have a negative effect on your lender, as they can lose the money that was lent to you if something happens to the property. When you acquire a mortgage loan, you have the option of using escrow, but sometimes this can be mandatory. 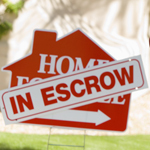 When taking out a mortgage loan, you have the option of signing up for an escrow account. This account will hold money for some of your bills, like property taxes or homeowner’s insurance. The amount that will be needed to pay these bills will be added to your monthly mortgage payment. Then the money is used by your lender to pay your property taxes and insurance. It is the borrower’s duty to deposit money in the escrow account monthly, with the mortgage payment and, when the time comes to pay your taxes and insurance, the lender will see to it that these payments are made on your behalf. The escrow service can be optional, but many lenders will require you to pay these home bills through escrow, in order to protect themselves. Having your home insured against hazard and seizure for back taxes, gives peace of mind to lenders, so they can use your home as collateral for the loan. Usually, your monthly mortgage payment will include the payment for the insurance and property taxes. When closing on the loan, if there are only a few months left until the property taxes are due, you may be required to make a bigger deposit so the taxes can be paid in full. Also, if the taxes and insurance go up, you will be required to make a larger escrow payment, which will of course affect your monthly mortgage payment. Convenience. Keeping track of all your home related payments, such as utility bills, taxes, and insurance can be a real hassle, especially if you are not organized, or don’t have the time to deal with this aspect of being a home owner. City, town or county tax payments will probably have to be sent to different places and at different times, increasing the risk of just forgetting to send a payment. Because the escrow includes all your tax and insurance payments into your monthly mortgage payments, you won’t have to deal and keep track of each individual bill. Managing your budget is also a lot easier because you will make smaller payments every month and won’t have to come up with a large amount of money when the taxes or insurance are due. No late fees. Because your lender has the responsibility of paying your property taxes and insurance, you won’t have to pay the late fees if a payment isn’t made on time. The lender will have to cover all of the penalties, as long as you are on time with your monthly mortgage payments. Lenders use sophisticated systems and software to keep track of payments, so it is very unlikely that they will miss or make a late payment. Being late on your insurance payment can have graver consequence than just paying a late fee. The insurer can actually cancel your coverage, so using a mortgage escrow is very advantageous if you are not well organized. Like most services, mortgage escrows come with a couple of disadvantages. While having most of your mortgage related bills bundled into one monthly payment is a great thing that makes your life easier, it can also mean trouble for people whose income fluctuates from month to month. Because you are required to make an equal payment into your escrow account each month, using this service will create difficulties in managing your budget if you are counting on a quarterly or annual bonus, for example, to make your tax and insurance payment. Another disadvantage is that the money accumulating in your escrow account doesn’t generate any interest like it would if you kept it in a personal savings account. Not using mortgage escrow means that you always have access to your money and can invest it into something that will earn you a higher return. When buying a home, you should first find out if the lender requires you to use mortgage escrow. Secondly, before deciding if this is the best choice for you, you should carefully weigh in on both the advantages and disadvantages of this type of account. While mortgage escrows can make it more convenient for you to deal with some of your home bills, they also require you to pay a monthly amount that won’t generate any interest over time. Mortgage escrows are a great choice for someone who doesn’t have the time to keep track of all their property bills and doesn’t want to deal with having to make a lot of payments throughout the year. Combining the mortgages for two properties into one mortgage is a way of simplifying your monthly bills and can be an advantageous choice, but it is not for everybody. This step makes a lot of sense when you have enough equity in one of your properties to cover for the other mortgage loan. Before choosing this option, make sure you understand the process and what it is involved. If you want to combine two mortgages into one, the easiest way in which you can do this is by applying for a home refinance loan. When combining two mortgages into one through refinancing, you basically use the new loan to pay off your current loans, and this consolidates them into a single loan. Refinancing will start a new mortgage term, usually with a new rate. Refinancing is highly dependent on how much equity you have in your home. While paying your mortgage loan, you build equity in your home, and it will be the deciding factor when the lender evaluates your situation in order to give you a new loan. A refinance can lower your interest rate and monthly payment, but whether this will happen or not depends on factors such as your current interest rates, your credit score, and your income. However, refinancing can be very costly because it will require you to pay several fees included in the closing cost. Analyze both of your properties and find out which one has the most equity. Lenders allow a bigger loan-to-value percentage for residences than they do for properties that are considered investments. If your loan-to-value is over 80 percent, you will need to also pay a mortgage insurance, which will drive the cost of the loan much higher. Get quotes from several lenders. Carefully compare all of these quotes and analyze all the aspects of each loan to find the one that works best for you. You should also talk to your current or past lenders, as they might be able to offer you better deals because you have already established a relationship with them. Make sure you lender knows that you will be paying off mortgage loans from two different properties. The loan officer will work with the title company to acquire the payoff statement which shows the mortgage balance, the unpaid interest and what fees are required in order to release the lien on the property. When the loan is paid off, make sure that the lien is released. The filing and the recording of the release could take a few weeks, but if you keep a copy there shouldn’t be any issues. Before combining the mortgages for two properties it is very important to carefully analyze what this operation entails and find out if it’s your best option. Talk with your accountant or a professional adviser to find out how combining two mortgages will affect you and if you should go for it or choose another path. With interest rates at a historical low, this might be the perfect time for you to move forward with refinancing your mortgage. 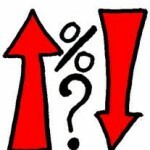 Mortgage interest rates are expected to remain low for at least the first half of 2013, but there’s a slim chance that they will go even lower. Unfortunately, lending requirements have tightened by a lot, so you must be well aware of your current financial situation and if mortgage refinancing is the best choice for you. Interest rates shouldn’t be the only factor to look at when deciding which refinancing lender to go with. Interest rates. Receiving a low interest rate on your refinancing loan means you will save money. Based on the interest rate, mortgage loans can be divided into two categories. Fixed-rate mortgages loans come with an interest rate that will remain unchanged for the duration of the loan, as opposed to adjustable-rate mortgage loans that feature an interest rate that will change over time. Fees. The main reason you’re considering refinancing is to save money, so high fees will be detrimental to your goal, as sometimes you can even end up spending more money overall due to these high fees. Besides low fees, a reputable lender should disclose all the costs and fees before having you sign a contract. Customer service. A good mortgage refinancing lender will give you financial counseling and walk you through the steps of the process for free, making sure you understand what your rights and responsibilities are. When thinking about refinancing your mortgage, it’s very important to have a firm grasp on your current situation. Being in control of your finances and understanding the mortgage refinance process will give you the liberty to shop around, compare mortgage refinance lenders and make the best choice for your financial situation. Remember, it never hurts to get quotes from multiple lenders. 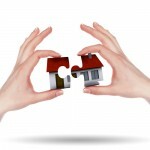 In fact, this is often the only way to accurately compare offers and get the best mortgage for your needs. Quicken Loans . With over 27 years of experience and over $70 billion invested in consumer loans last year, Quicken Loans is the largest online lender in United States. J.D. Power and Associates also ranked Quicken Loans “Highest in Customer Satisfaction for Primary Mortgage Origination” for 3 consecutive years. Bank of America. This multinational financial services firm was founded in 1998, and today is one of the biggest companies in the world, and the 5th largest bank in the U.S. Bank of America accommodates over 57 million clients, and it provides services such as consumer banking, mortgage loans, wealth management etc. Chase Mortgage. With a BBB (Better Business Bureau) A+ rating, Chase successfully provides its clients with an array of financial services. It is currently the biggest bank in the U.S., with assets of approximately $2 trillion. Chase was founded in 2000, as a result of the merger between J.P. Morgan & Co. and Chase Manhattan, and last year had 258,965 employees. Wells Fargo Home Mortgage. Along with J.P. Morgan Chase, Citigroup and Bank of America, Wells Fargo is one of the Big Four banks in the U.S. Part of Wells Fargo’s Community Banking segment, Wells Fargo Home Mortgage is the biggest lender of retail mortgage in the U.S., financing $1.8 trillion mortgages. U.S. Bank. A subsidiary of U.S. Bancorp, U.S. Bank is the 5th biggest bank based on deposit, with $243.8 Billion deposited, and provides consumers with multiple financial services, and lots of information and features about mortgages and refinancing. Citibank. Founded in 1812, Citibank, a subsidiary of Citigroup, is one of the largest international banks, operating in more than 160 countries. With 1,400 offices, of which more than half are located in the U.S., Citibank offers its clients several financial services, from personal banking, to lending, to wealth management. BD Nationwide Mortgage. The company offers a large variety of services, such as home loans, mortgage and refinancing, equity loans and more to clients, even those with poor credit. BD Nationwide Mortgage is known for having low mortgage rates. Sun Trust Banks, Inc. The company and its subsidiaries offer customers several financial services like mutual funds, mortgage lending, banking etc. Sun Trust has over 1,600 branches in southern U.S., and had assets which totaled $173.4 billion last year. PHH Mortgage. PHH services over 1,000,000 loans, and is one of the country’s mortgage solution leaders. The corporation was founded in 1946, and currently has over 5,000 employees. Flagstar Bank Corp. Based in Michigan, Flagstar Bank was founded in 1987, and it is currently one of the nation’s top mortgage lenders. The bank ranked “Highest in Customer Satisfaction with Retail Banking for the North Central Region” in J.D. Power and Associated Retail Banking Satisfaction Study two years in a row (2010 and 2011). Refinancing your mortgage will save you money in the long run, but only if you do your homework and find the most suitable mortgage refinancing lender for you. As you can see, there are plenty of choices when it comes to mortgage refinancing lenders, so feel free to shop around until you decide which of these companies you will choose for your refinancing needs. Mortgage rates are still low. Refinance & Lower Your Payment! With all the options available today, finding the best mortgage lender for you can be a frustrating and time consuming experience. Going through the offers of multiple banks, mortgage brokers, or online lenders as a first time home buyer can prove to be a real challenge. As a prospective first time borrower, knowing who the top mortgage lenders are and why they are on top can be the main piece of information that you need to make the best decision regarding your future. Loan options: A reputable mortgage lender will offer you several types of loans, so you can choose the one that fits you the best. You should be given the option of choosing a loan that is backed by a federal institution such as the Federal Housing Administration (FHA) or the Department of Veterans Affairs (VA). Loans that are backed by the government usually have lower down payment conditions, as well as lower interest rates. Interest rates: Probably the most important factor in making a decision regarding a mortgage lender is the interest rate that you will have to pay on your loan. High monthly mortgage rates will make the overall cost of the loan much higher than what you’re actually borrowing. The type of interest that will be applied to your loan is also very important. With a fixed-rate loan you will pay the same monthly interest rate over the duration of the loan. On the other hand, with an adjustable-rate loan, your interest rate will fluctuate over the duration of the loan. Even though interest rates on an adjustable-rate loan start lower, they can rise significantly later, raising your monthly payment and the overall cost of the loan. Loan length: A respectable mortgage lender usually gives you the option of taking out a loan for 15 to 30 years. While going with a longer term mortgage loan will reduce your monthly payments significantly, the interest that you are going to pay over the life of the loan will be much higher than with a short term loan. Down payment: A high down payment will lower the amount that you will need to borrow from the mortgage lender, which will also make your monthly payments and interest rates lower. But the amount that you are willing to put down as a down payment depends entirely on your financial situation, and a good mortgage lender should give you the option of choosing how much you are going to pay upfront. Fees: When taking out a loan from a mortgage lender you shouldn’t be charged exorbitant fees, as those are still money out of your pocket, even if the loan terms look attractive. A good lender should also be upfront about how much you are going to be charged, and not come up with any unnecessary and undisclosed fees. 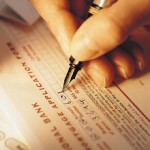 Mortgage lenders can excel in certain areas, but lack in others. As a first time home buyer, you should first be aware of your financial standing, and then try to find the mortgage lenders that best fit your needs. Here’s a list of the top 10 mortgage lenders that have continuously provided good services to first time home buyers over the years. 1. Wells Fargo. With more than 270,000 employees and over 70 million customers, Wells Fargo is one of the biggest financial services companies in the United States. Named America’s Best Consumer Internet Bank by Global Finance Magazine back in 2011, the company’s assets total more than $1,300 billion. 2. Bank of America. With assets of over 2,000 billion, Bank of America is the largest bank in the United States. After acquiring Merrill Lynch back in 2008, it became the biggest wealth manager in the world. 3. JPMorgan Chase. Chase has the largest deposit base in the United States, with over 100 million credit cards issued. JPMorgan Chase resulted from the unification of various large banks in the United States, including Chase Manhattan Bank, J.P. Morgan & Co., and Bank One. 4. Ally Bank. Formerly known as General Motors Acceptance Corporation, Ally Bank is a company that offers financial services online and over the phone. Its mortgage subsidiaries include Residential Capital (ResCap) and the ResMor Trust. 5. Citigroup. One of the largest financial services in the world, with customers in over 140 countries, Citigroup offers mortgage loans in the United States through its subsidiary, CitiMortgage. 6. U.S. Bancorp. After taking over the First Community Bank of New Mexico, and Bank of America’s securitization trust administration business, U.S. Bancorp became one of the biggest commercial banks in the United States. U.S. Bancorp handles mortgage loans through its subsidiary, U.S. Bank. 7. PHH Mortgage Corp. Based in New Jersey, this mortgage lending company was established in 1946 and it currently has over 5,000 employees. 8. SunTrust Banks. Sun Trust Banks, Inc. offers several financial services, which include trust services, mortgage loans, insurance, and asset management. Sun Trust Bank operates in the following states: Alabama, Arkansas, Georgia, Maryland, Mississippi, North Carolina, South Carolina, Tennessee, Virginia, the District of Columbia and Florida. 9. Provident Funding Associates. The second largest privately owned mortgage company in the United States, Provident Funding Associates has served over 280,000 customers since 1992. 10. BB&T Corporation. Founded back in 1872, Branch Banking & Trust Corporation is a bank that offers commercial and retail bank services. Based in North Carolina, BB&T Corporation has more than 1,800 offices all over the United States. Buying a home for the first time can be a pretty straight forward process once you find the perfect mortgage lender. Don’t be afraid to voice your concerns or even refuse to work with a lender if your expectations are not met. It’s your money and that is why you need to make sure that you are getting the best deal possible before taking this big step. Mortgage Refinancing – Safe or Dangerous? You can refinance your home as many times as you like, but too much refinancing can really burn a hole in your pocket. Lenders usually levy burdensome prepayment penalties and closing costs whenever you refinance too quickly. Here’s a brief guide to refinancing. Many people turn to refinancing as a way to reduce the burden of their monthly mortgage premiums. Refinancing can help you extend your mortgage term and lower those payments. But, be careful. Sometimes, lenders will end up charging you endless fees, and some might even hike up rates after a probationary period. This is why you need to read the fine print before refinancing. Some homeowners are choosing to refinance as a way to consolidate debt. It’s true, refinancing your home can help you pay off large debt if you’re swimming in deficits. It’s also a good way to tap into home equity, provided you can find a way to negotiate with your lender. There are many dangers to mortgage refinancing, and it’s important as a borrower to educate yourself before you get involved in refinancing. First of all, remember that most refinancing deals will include prepayment penalties or early cancellation fees. These fees apply to the vast majority of mortgages. If you are refinancing your home, be sure you are totally aware of any hidden fees you might have to pay. Also, make sure you will pay a fixed interest rate on your mortgage after you refinance. Don’t get stuck with an adjustable rate on your refinanced home. Otherwise, you will end up paying more than you ever anticipated. Work with lenders to see if you can pay down more principal and thereby ease the financial burden before you refinance. Also, don’t count on Fed rates as indicators of interest rates. The Fed’s interest hikes and cuts only immediately affect short term loans. Homes are long term loans, so these interest manipulations take longer to manifest. You should be very discriminating when you are selecting a mortgage broker. Check on every broker’s credentials, and ensure that they are registered with the state and fully licensed. Every state has strict requirements that lenders must follow in order to obtain a license. There are a multitude of different types of mortgage loans. You can choose from a veritable menu at your local broker. Don’t be overwhelmed by all of these loans. Rather, take time to carefully analyze them so that you fully understand what you’re getting into. Compare rates at a variety of different refinance lenders. You may want to consider going to a broker that specializes in refinancing if you’re considering reworking your mortgage. Listen carefully to word of mouth, and trust your friends. 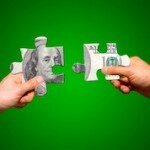 If you know of someone who has had a good experience with a lender, then investigate that lender. 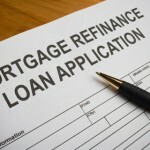 There are many ways you can accomplish a thorough refinance of your home. Pay close attention to the fine print so that you can lower those payments and get a better interest rate on your mortgage. It’s smart to be choosy when you’re considering refinancing your home.